All events for Partner Dancing – What’s the Magic? Do you enjoy listening to music? Would you and your partner like to discover the magic of dancing together? 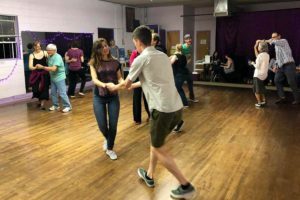 This introduction to lead and follow dancing will include several dance steps and patterns that will get you moving around the dance floor to many types of music. Bring a partner and we'll have some serious fun that includes amazing health benefits too.